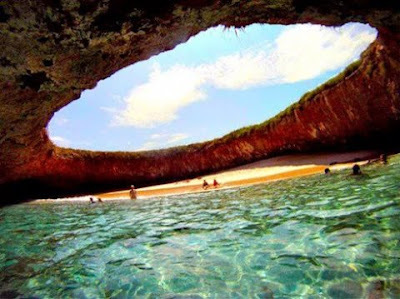 The Marieta Islands (Spanish: Islas Marietas) are a group of small uninhabited islands a few miles off the coast of Puerto Vallarta, Mexico. They are very popular tourist destinations because of the abundant marine life populations due to the islands being protected from fishing and hunting by the Mexican government. The Marieta Islands were originally formed many thousands of years ago by volcanic activity, and are completely uninhabited. The islands are about an hour long boat ride west-northwest from the coast of Puerto Vallarta and are visited daily by hundreds of tourists, yet no one can legally set foot on the islands. In the early 1900s the Mexican government began conducting military testing on the islands because no one lived there. Many bombings and large explosions took place on the islands causing amazing caves and rock formations to be created. After a massive international outcry, started by scientist Jacques Cousteau in the late 1960s, the government eventually decided to label the islands a national park and therefore protected against any fishing, hunting or human activity. Protection by the government has created an environment conducive to the development of the marine ecosystem, and is a popular location for snorkeling and scuba diving. People often report seeing sea turtles, manta rays, octopus, wild dolphins, humpback whales and thousands of species of tropical fish around the islands. The islands are also home to a few thousands birds, with species such as the Blue-footed Booby. 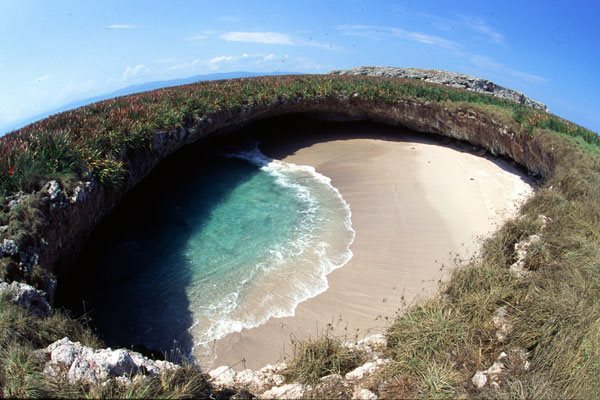 Currently, the Mexican government allows only a few companies to go to the islands for public tours because of conservationist efforts.